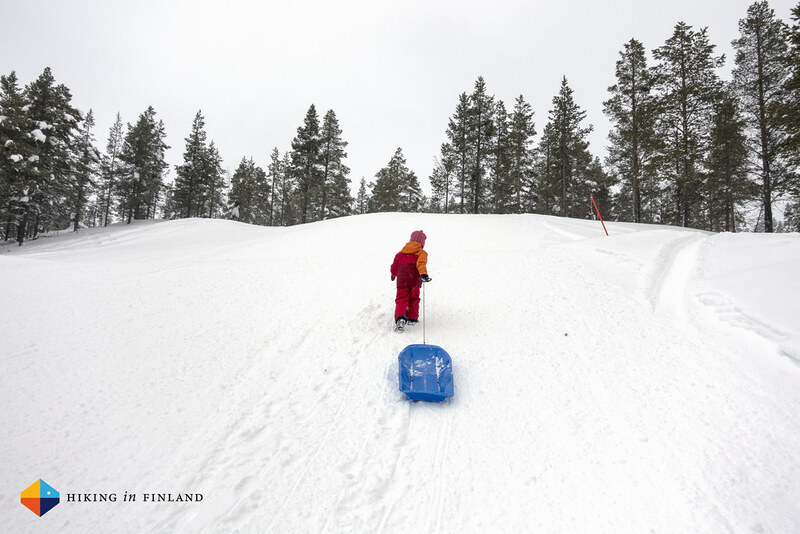 Skiing, sledding, hiking and building an igloo: Winter is a great time for kids to be outside & enjoy the snow. 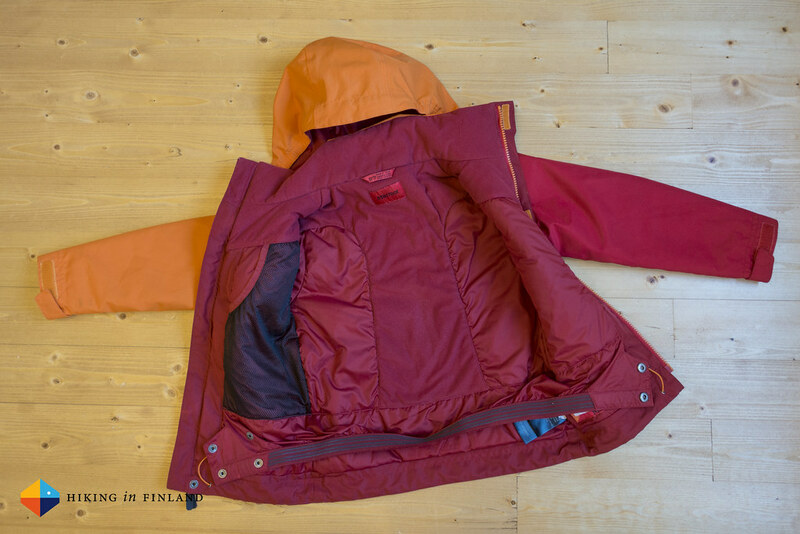 So that he does not get cold, our son wore the Marmot Space Walk Jacket and Edge Insulated Pants - which we review here. Winter, also known to parents as the time where you need to get ready 15 minutes before you plan to leave - because your little ones need help dressing up in the multitude of layers we make them wear so they do not get cold. Because only when they’re not cold they actually enjoy being outdoors (much like adults, really). We tested the Marmot Space Walk Jacket and Edge Insulated Pants during the last four months outside while alpine skiing, sledding, building snowmen and XC skiing, and here are our thoughts about them. 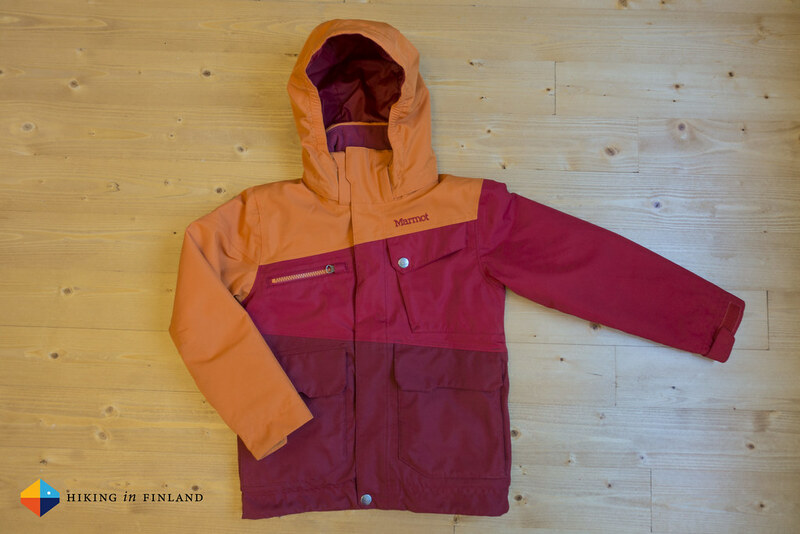 The Space Walk Jacket in Size XS equals size 110 and weighs 512 g. Our son loved the colour combination of orange and reds, and we too really liked it. Outside a waterproof & breathable Marmot MemBrain® Fabric keeps snow and moisture at bay, while on the inside a Thermal R 100 g insulation ensures generated warmth stays inside. The hood is removable, and a really good fit, even over a bobble hat. 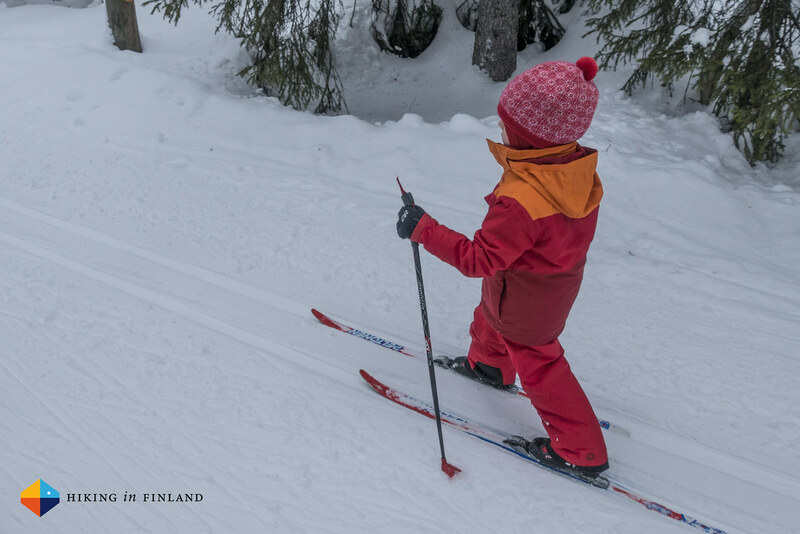 The Powder Skirt keeps the snow out and is extremely useful for little skiers and playing in the snow. It has a silicone band on the inside which keeps it in place and has two levels of tightness. In the back, chin and neck a fleece lining makes it comfortable against the skin and likely helps with breathability, too. What we found overkill were the six pockets, we could have done easily with only the one large mesh pocket on the inside (which is great to store beanie, neck warmer and gloves!) and one of the outside pockets. Our son never used the Velcro hand pockets nor the other two pockets on the outside. The hem is adjustable, though with the toggles in the pockets it is difficult to do so - happily we never needed it. The sleeves have Velcro closures and also can be adjusted, and most importantly are wide enough so gloves can be worn underneath the sleeves to keep the snow out. 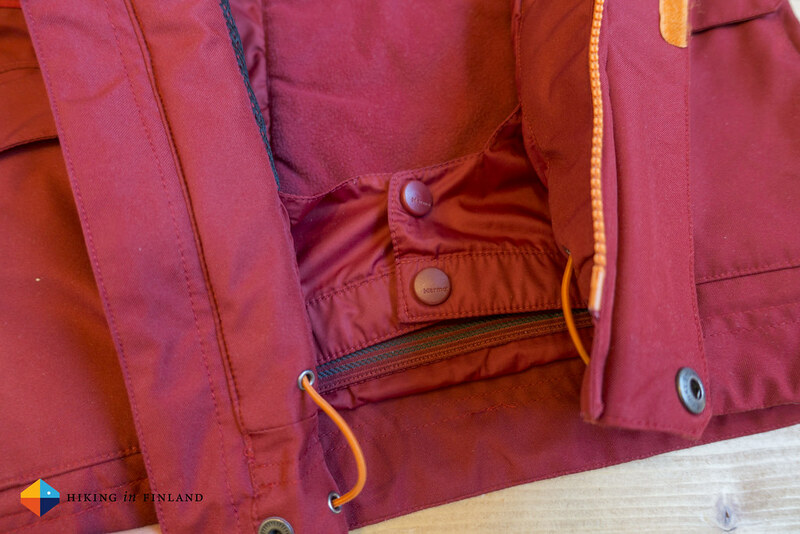 The jacket closes high and our son found the area in the front of the face constricting, something we solved by leaving the zipper always a couple of centimetre open. In terms of warmth, we feel the jacket (and pants for that matter) are warm till -10°C with a thin midlayer on (plus normal clothes), probably more with a thicker midlayer. The jacket has plenty of space underneath for layering, and our son never was cold in a variety of activities and weather conditions. 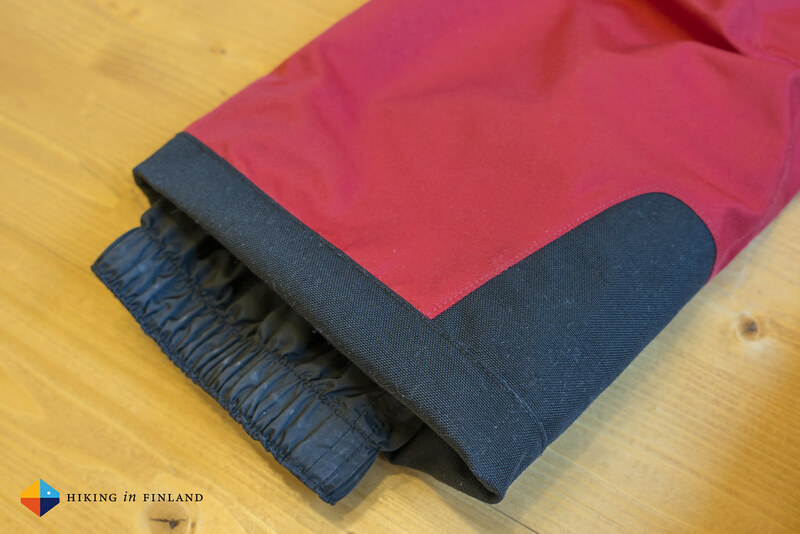 It gives little skiers and climbers great freedom of movement, and the Powder Skirt ensures no cold and wet snow comes inside. After four months of use and a couple of washes the jacket also still looks like new, also at high-stress areas like the cuffs and back. Overall our son really liked his Space Walk Jacket - it is warm, has nice colours and is easy for him to put on and off on his own. Get the Marmot Space Walk Jacket right now with great discounts at Bergfreunde.co.uk, Backcountry, Campsaver, evo or REI.com. In size XS the Edge Insulated Pants weighs 444 g. They are, as the name suggests, insulated pants, made of the proprietary Marmot MemBrain® fabric on the outside which makes the pants water-resistant, while on the inside a Thermal R™ insulation keeps little winter lovers warm. We found the internal flex boot gaiters great to keep shoes & socks dry from the inside, and the reinforced inside leg is useful for skiing as well as scrambling on rocks. The waist is adjustable via Velcros on the inside, but sadly the adjustment is only minimal - we feel a bit more adjustment in width or a stretchy waist could have been better and would possibly make it possible to use the pants two winter seasons. 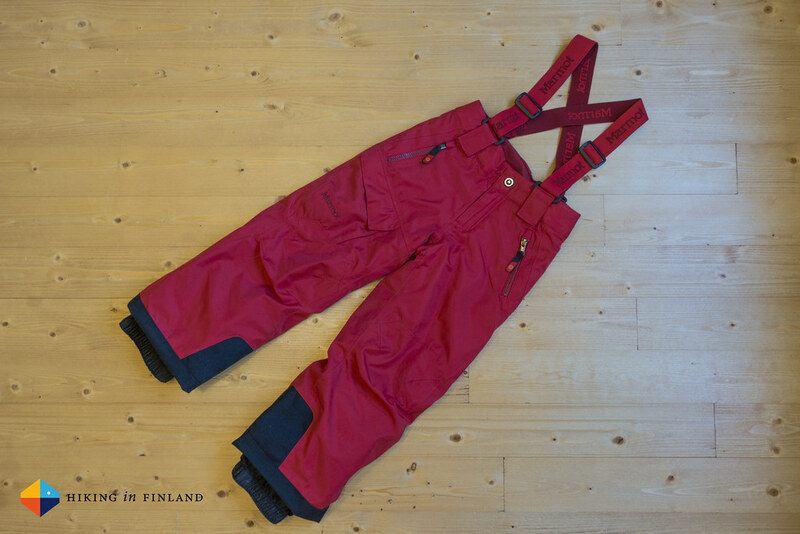 The removable suspenders are great, and the soft inside lining makes it easy to put the pants on over other pants. We never used the three pockets on the pants, so maybe it’d make sense to get rid of at least the two zippered pockets. Putting the pants on is easy thanks to the smooth lining and it stays well in place with the adjustable suspenders and button closure. After four months of daily use outside the Edge Insulated Pants still looks like new after a couple of washes. The Marmot MemBrain® fabric kept the snow & wetness always reliable outside and it was easy to brush dirt off the pants. 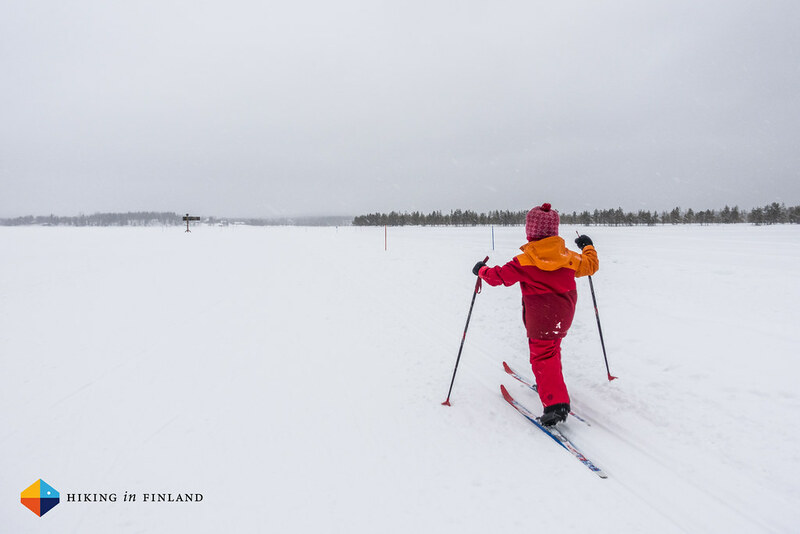 They allow for great freedom of movement, be it scrambling up the snow hills along the streets, climbing on the playground or Alpine and XC skiing. 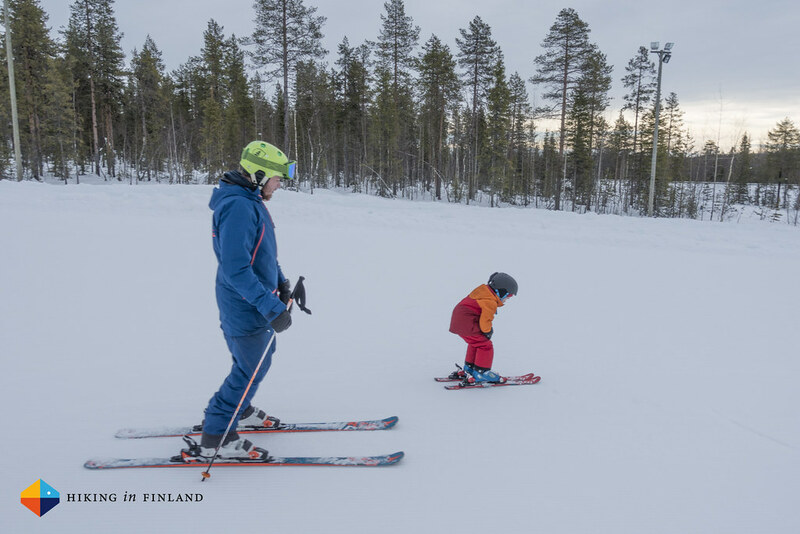 The sizing is good for kids between 108 and 112 cm, though if your child is wearing more than one baselayer the waist might get tight (we just left the button open). Asides from these little things from us parents our son simply liked his Edge Insulated Pants a lot: They were toasty, allowed him to go sledding on his pants down steep snow hills and also looked cool! Buy the Marmot Edge Insulated Pants at Backcountry, Bergfreunde.co.uk, Campsaver or evo - all of them have great offers on the pants thanks to their winter sales! Disclaimer: The jacket and pants have been provided by Marmot for review. This does not influence the article as I maintain full editorial control of the content published on this site. Read the Outdoor Blogger Codex for more information on blogger transparency.